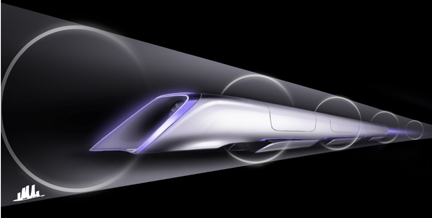 There has been considerable fanfare this week over the Hyperloop idea, put forward by Elon Musk. In this concept, which was, in this case developed by engineers at Tesla and SpaceX, trains would travel in evacuated tubes at speeds of up to 800 miles an hour. The concept itself is not new. Back when The Oil Drum was first started I wrote a piece on Planetran, based on an article in the Ecyclopaedia Britannica 1980 Science and the Future yearbook. (And it also was mentioned in one of Robert Heinlein’s books, though I have forgotten which). Figure 2. The Planetran Concept as illustrated in the Encylopaedia Britannica in 1980. 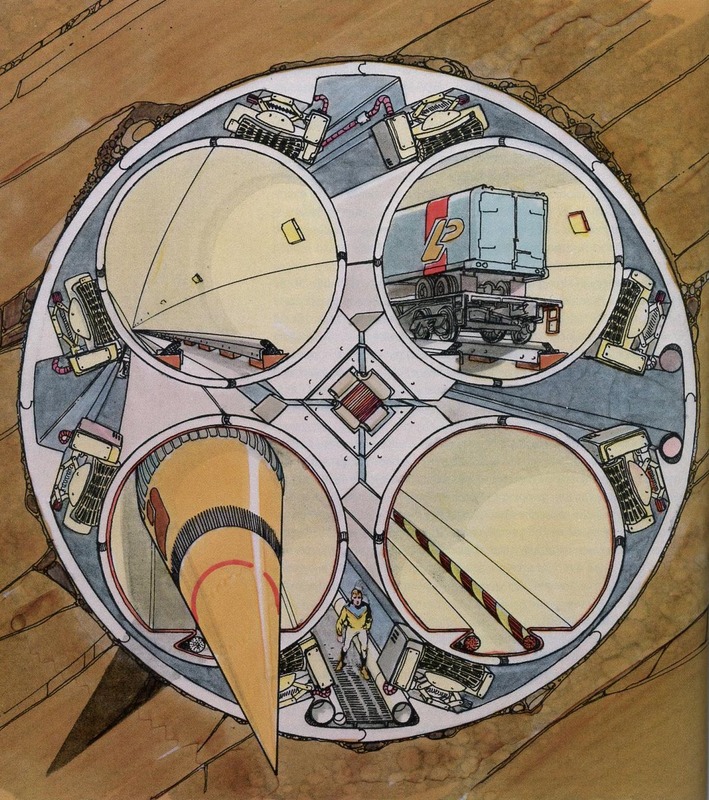 The concept at the time (it dates back to an idea in 1957 at Lockheed) was to drill high speed tunnels and after they were lined evacuate them. The trains would be magnetically elevated (Maglev) and with little air in the tubes could be accelerated using the surrounding magnets at an acceleration of 1 g.
Planetran "trains" would consist of lightweight cars which are "floated" by magnetic repulsion between vehicles and guideway. These repelling magnetic fields would be phased so as to produce a traveling wave along the guideway. This magnetic wave would provide both vehicle support and propulsion (or braking.) Planetran tunnels would follow the Earth's curvature and would be generally located several hundred feet below the surface in rock structures. Besides evacuated tubes for high-speed Planetran travel the tunnels would also house conventional railroad lines and power lines, communication links, and pipelines. This shared usage would help defray tunnel costs, which are the major element in Planetran's overall expense. The tunnels are expensive, but when comparing costs consider that it is can be relatively cost competitive to drive a tunnel under a city, relative to the price of surface construction. Instead of two-way local service in a four-tube tunnel, planners have considered operating locals in one direction only. Because of the high speeds achieved, passengers could go the long way around to their destination. An example is the New York City - Boston link with local traffic to Hartford. By running local traffic only in the NYC to Boston direction, a traveler from Hartford to NYC would go by way of Boston. Hartford to Boston on the local would take 7 minutes, and Boston to NYC 11 minutes, for a total of 18 minutes. Some 30-plus years later the technology plans to use a linear induction motor for propulsion, and light-weight materials such as those used as in aircraft construction. However the tube will not be evacuated, and instead will rely on pulling air into the front of the train and ejecting it underneath the train to provide suspension. (This is a technology that works quite well as an air bearing in moving heavy loads. The project description notes that these have been proved to work at speeds up to Mach 1.1 – higher than those planned for this system (which will remain sub-sonic). Figure 3. Hyperloop car, showing the air compressor at the front, and the air bearing support. By covering the top of the tube with solar panels it will be possible to provide more than enough energy for the system, and by mounting it on pylons along the Interstate land costs can be minimized. This takes away from the need to drive tunnels (although in time these may still be needed for the in-town sections), which is a pity since that was one of my main reasons for being interested. However the development of new technologies has resolved some of the existing problems and lowered the cost considerably. It is now estimated to cost only $6 billion to connect San Francisco and Los Angeles, and Mr Musk is apparently willing to invest his own money in further development. This could get quite interesting since this is, in a sense, competing with the High-Speed Rail Projet that California has started. You are thinking of the 1940 story by Heinlein the Roads Must Roll. But the roads were high speed walkways--like conveyor belts. The story itself was a warning against public unions, quite topical today. 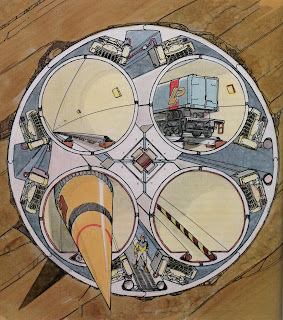 Heinlein did include outdoor high speed transports--something like a linear drive device. The capsules passed from elevated rings, each ring they approached applied an accelerating force to the approaching capsule. This was in a book, Starman Jones, one of his early juveniles. Thanks, it was likely Starman Jones that I was thinking of. (I had thought it was "Have Spacesuit, Will Travel" but I still had that one and when I checked my memory proved false). I think he used the moving walkways in more than one story, but can't be sure after all these years.